The latest from Basic Grey's line, June Bug! This has become an obsession. I'm loving random pieces of fabric! Replace the baby with two dogs. 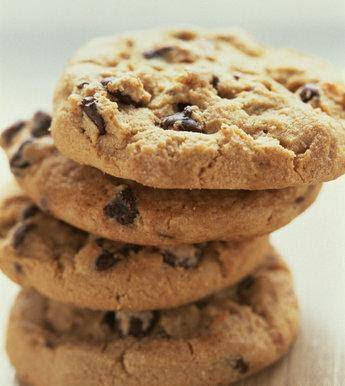 I love any type of cookies. Seriously, they are. As of right now though, the latest “favorite thing” is this. Julie started a new challenge blog site, and she asked me to be on the design team! I feel so honored to be working with an amazing group of gals. They totally blow me away. The first challenge will be posted on the 15th of this month, so make sure to check back. You’re going to want to play along. I promise you won’t regret it. If I don’t post before then, I wanted to wish everyone who celebrates Independence Day a happy 4th of July. I’ll be back with pictures from the weekend. Happy 4th an hour from now. It’s already the 4th in NY. Does that count? I can’t wait to eat. I can’t wait to see what you’re going to make out of your new stuff. omg. long time to visit!!! blog looks great! i’m in desperate need for some new BG. and when i say need, i should add “like a hole in the head”. must go harass lss. hope all is well!! xo. I can see why those are some of your favorites! Congrats on the DT with Julie. A super duper talented group for sure. Have a grand holiday weekend. “You don’t really need that!” applies to so much of the stuff that I own. I’m totally excessive. Congrats!! (: I’ll check back! Congrats on the DT!!!!! I’ll have to check back to see the first challenge. Funny comic strip! Have a happy 4th of July! The new BG is cuuuuuuuuuuuuute! Ok, where have you been hiding all the LO’s you’re doing with all that Glimmer Mist? I’m addicted to it now, too! Your LO’s are one of my favorite things! So glad to be on another team with you! OOps, thanks for pointing out my dates were off when I left you a comment. It will be the 4th of july in like 4 1/2 hours. I love how you are scrapping out of your new basket. I like it. It has some sort of weird organization that works for you. 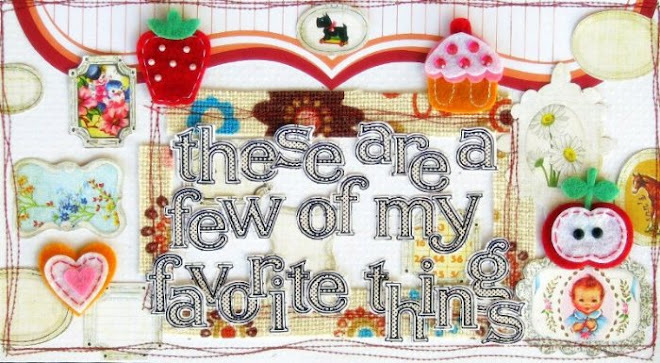 Love your layouts and blog – those fabric scraps and the cupcakes and the cookies look yummy! So happy to be on the design team with you! Happy 4th! Okay, just so you know, my name is Chris not Chirs in the comment just above. Sometimes my fingers don’t type what my brain is thinking. LOL! Hi Sarah, I am sooooo exited to be on this team as well, I can’t wait to see what happens when the first challenge is up!!!! Congrats on being on Julie’s Design Team!!!! I’m so looking forward to the first challenge!! And thanks for your lovely comment on my blog! This is my first visit at yours but I’m sure I will be back, I LOVE your work!! Hi Sara. Saw your name on Julie’s new blog. Congrats!! Everywhere I turn, I see you and Julie. You are awesome!! hahaha, i work from home quite a bit too and that cartoon is hilarious! like you, i would need to replace the baby with a doggie. (btw, sorry to comment on so many all at once, i am behind on reading!) Congrats on making the DT!